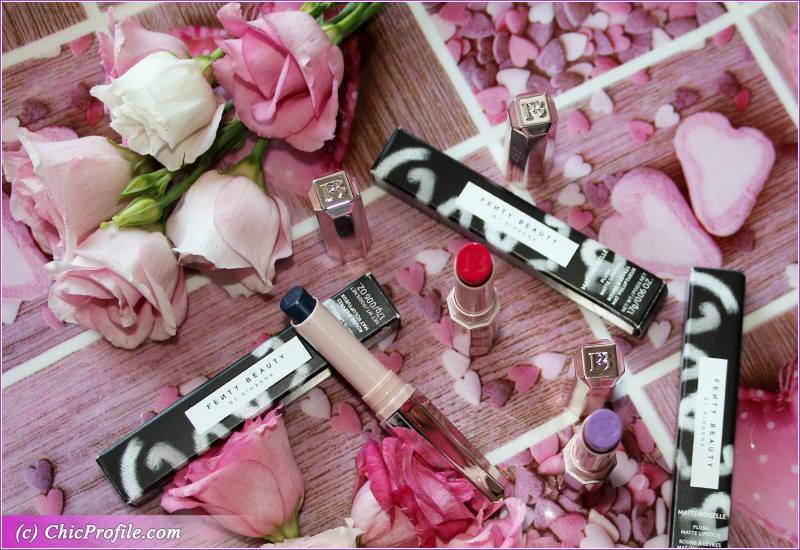 Fenty Beauty Mattemoiselle Lipstick line was one of the most expected launches of this season. Fenty Beauty Mattemoiselle Plush Matte Lipsticks come in 14 permanent shades that will blow your mind. I mean this is a seriously colorful lipstick line here. You can choose from the most eccentric shades like green, orange, navy blue. I got the shades Clapback, Candy Venom and One of the Boys as PR samples last month. 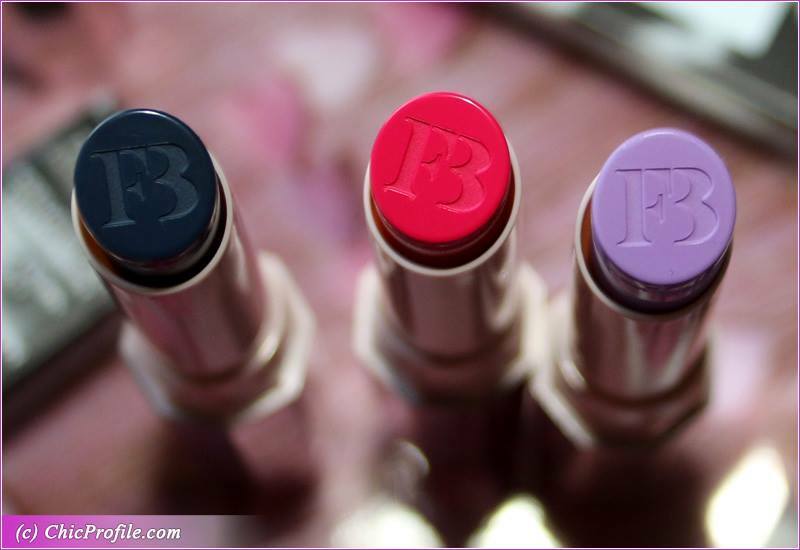 I wore each shade a couple of times so keep on reading to find out how they perform! What I like about Fenty Beauty Mattemoiselle Plush Matte Lipstick ($18.00 / £16.00 for 0.06 oz.) line is the variety of colors. Even the most nonconformist women could easily find a favorite shade. If you know Riri and especially if you are a fan, then you are surely aware about the crazy, lip colors that she’s pulling through every time. She looks good in every shade from muted rose to cornflower blue. 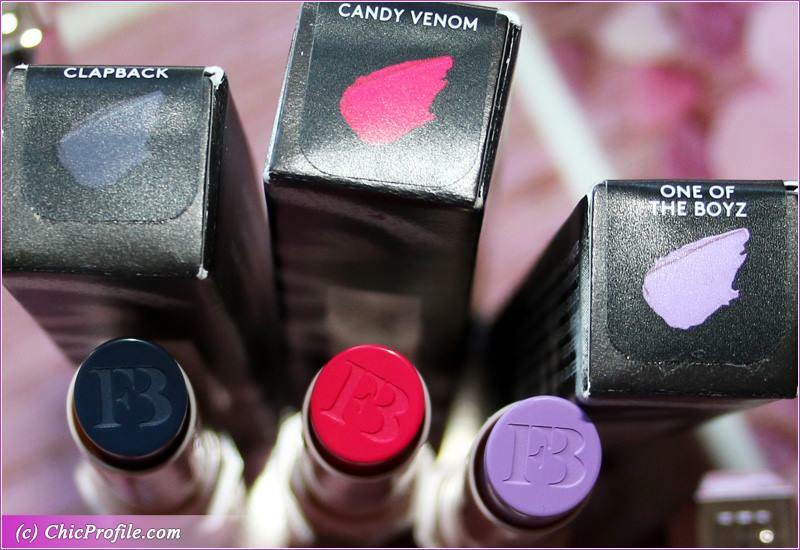 The formula of these Plush Matte Lipsticks is said to be “long-wearing”, very pigmented, intense and obviously with a “velvety-soft matte finish”. I personally got to wear only three shades but I swatched the rest in the store. Indeed they are super pigmented offering a rich color payoff. 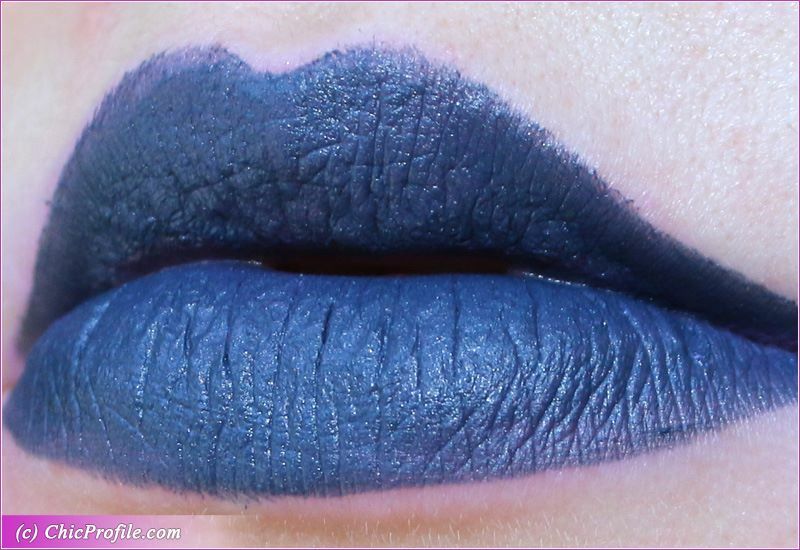 On the lips some of the shades are fully opaque in one swipe while others are semi-opaque. It’s well known that some colors are more difficult to work with. The packaging is very light, sleek, modern and elegant but doesn’t host too much product. When you look at the price also keep in mind the quantity of product you are getting. They definitely look good and elegant when you take them out of your purse for a retouch but if you are hooked on a shade it won’t last you too long. Clapback Mattemoiselle Plush Matte Lipstick comes as a mix of blue, black and purple with cool undertones and a semi-matte finish. 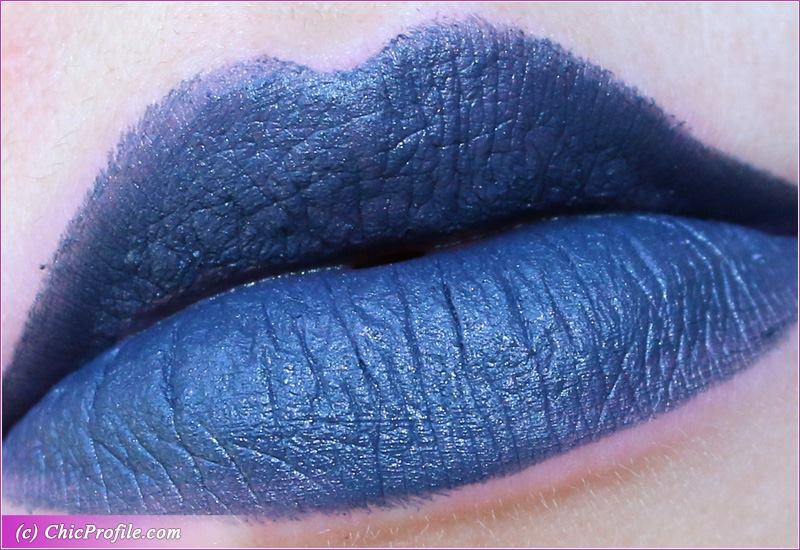 It is a nearly opaque and intense navy blue. The consistency felt very smooth and lightweight at the same time. It glided on smoothly across the lips without dragging or pulling. You can get a fully opaque finish in a second layer. This shade impressed me, as it performed so well considering its type. The formula was moderated between drying and hydrating and it didn’t damaged my lips. I got about 5 hours wear with a purple stain left behind. Candy Venom Mattemoiselle Plush Matte Lipstick is a medium-dark fuchsia pink with blue undertones and a cream finish. 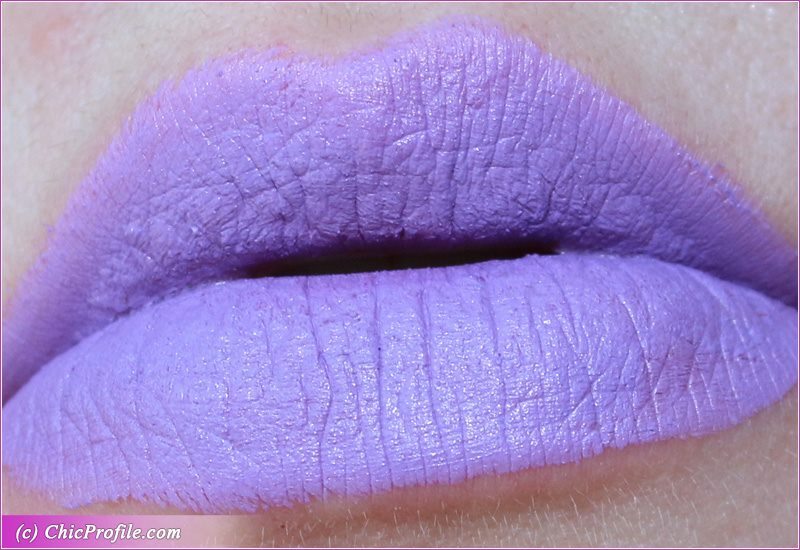 This is by far my favorite shade from the entire collection. 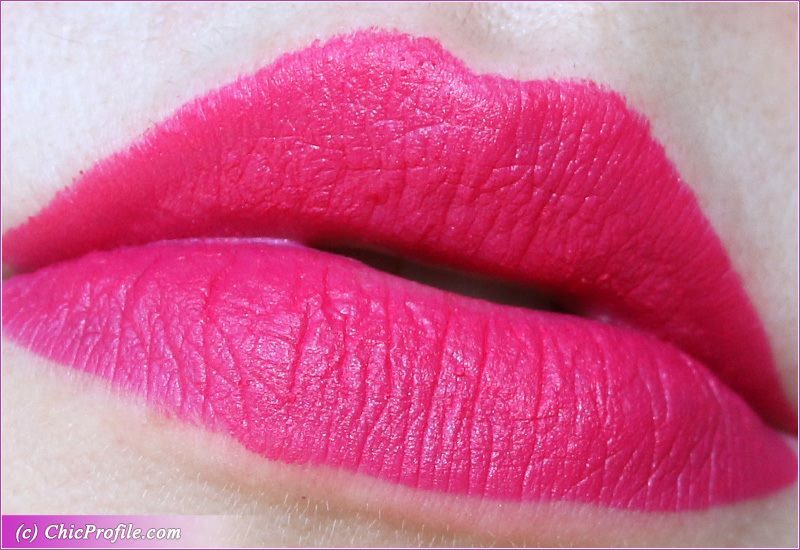 You know by now that I like me a rich, pigmented and intense fuchsia pink. I can’t never get enough of shades like this. 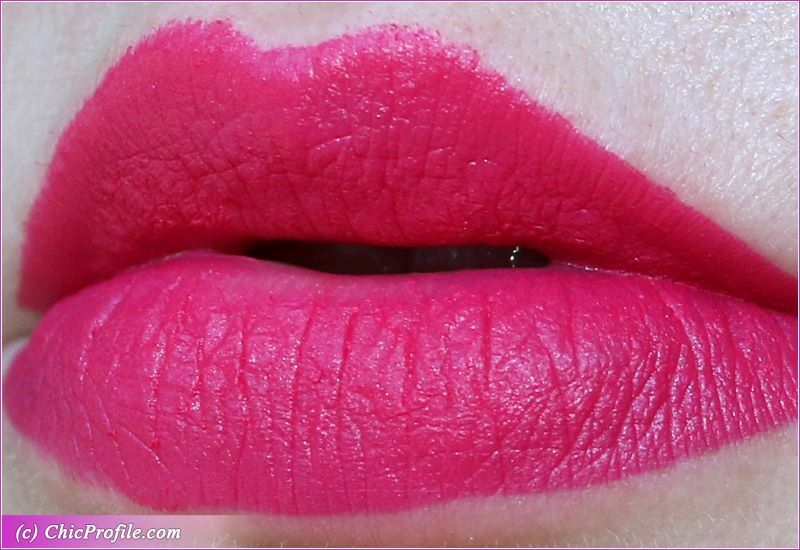 It has an opaque coverage and applies evenly across the lips without sinking into my lip lines. It doesn’t look so matte like the other shades and I quite like that. I can say it has a bit of slippery feel but it applies well and feels comfortable on the lips. I haven’t had a drying feeling throughout the wear, but didn’t felt moisturizing either. On me, it wore well for almost seven hours and left a strong stain behind. One of the Boyz Mattemoiselle Plush Matte Lipstick is a light-medium lavender, lilac with cool undertones and a soft matte finish. It has an opaque color coverage in one application. 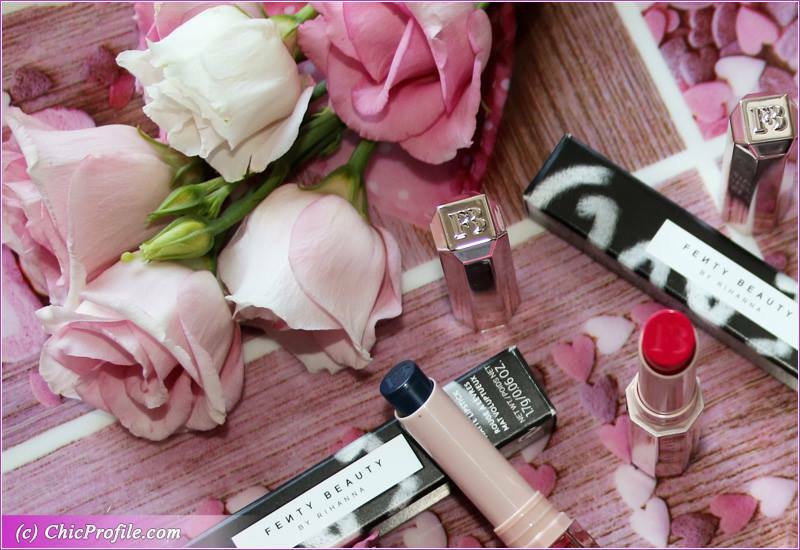 The consistency is light, creamy and feels smooth when glides on the lips. 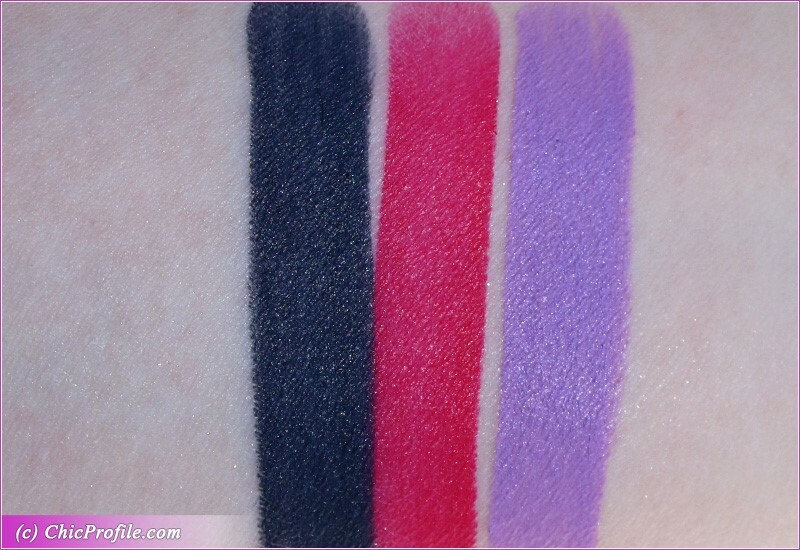 The finish is not completely matte and has a subtle sheen that goes away after an hour wear. What I noticed after an hour or so, was that the formula was sinking a bit in my lip lines. It wasn’t very obvious in the beginning but I still could see it when I looked close in the mirror. The formula gave me around five hours wear without leaving a stain behind. 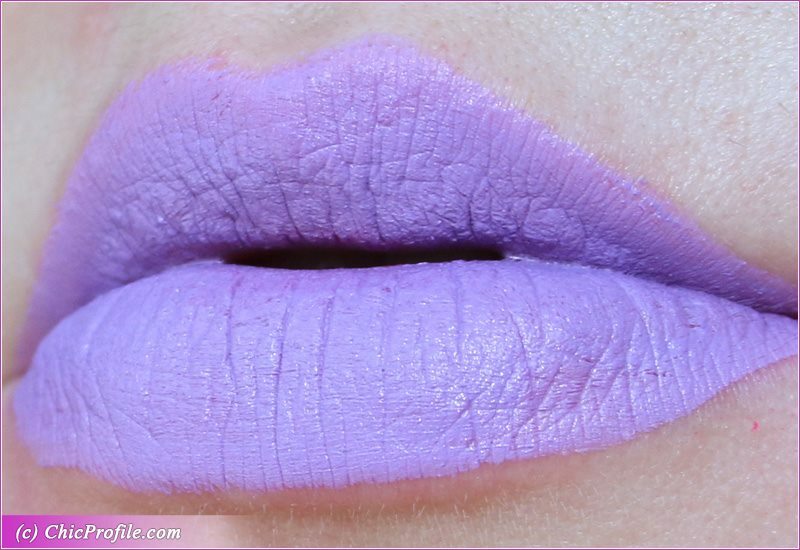 You can check the rest of the shades in my previous article where I talk about this launch. Which of them of them is your favorite?